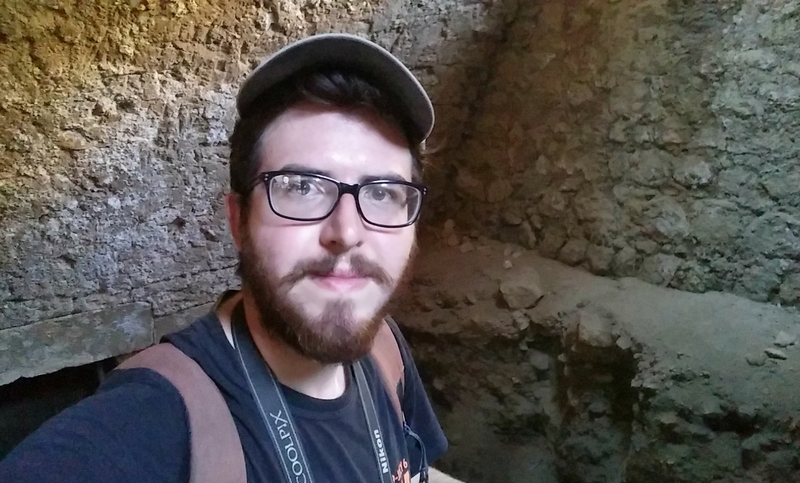 Whilst participating in Hebrew University’s excavation of Horvat Midras in early August, I took a short trip to the Crusader fortress that I had missed in my previous trips to Beit Guvrin. 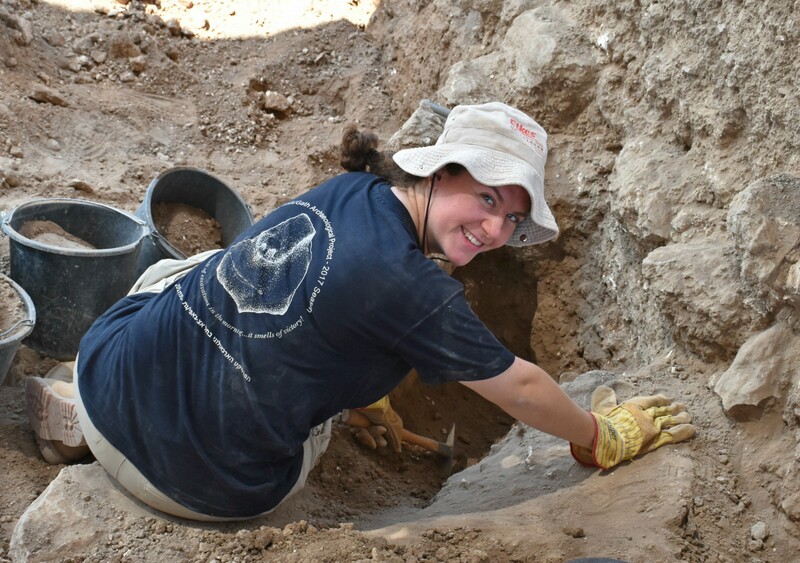 Since I was staying at the nearby Kibbutz Beit Guvrin, I did not have far to go and set out on my excursion in the late afternoon of my second dig day. On my way out of the kibbutz I stopped to examine the display of ancient millstones and columns that adorn the entrance and then made my merry way to the main road. Seeing the alluring ruins on the right of me, I looked despairingly at the fence barring my way and walked along Road 35 until I saw a place to slip in. Because the road divides this part of Beit Guvrin from the more expansive national park that includes Tel Maresha, this part has no entry fees. As I entered, I noticed that the Roman amphitheatre was decorated for a concert that evening, and two young Arab men were standing watch. They hollered at me and a curious discourse followed in which I was threatened with my life and then allowed entry–an interesting episode, to say the least. Passing the amphitheatre, which I had already visited twice, I made my way towards the complex that awaited my visit for years. 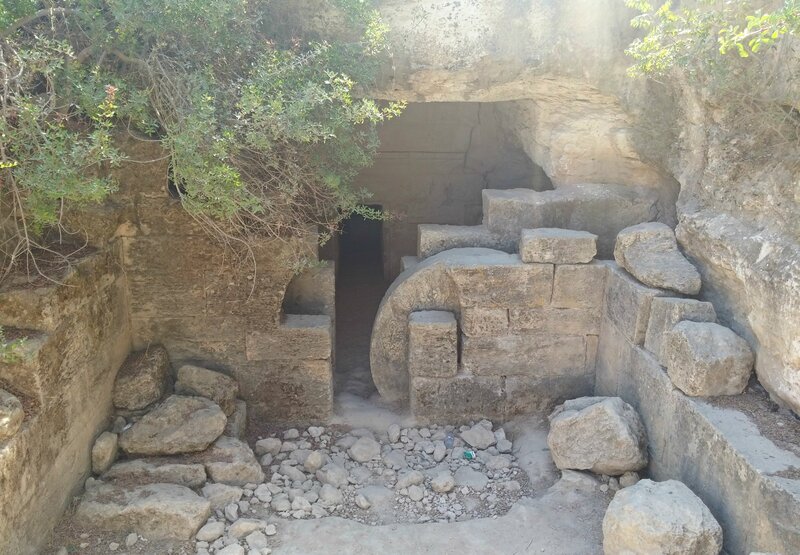 Just to give a brief overview of this part of Beit Guvrin: I was visiting the Roman and Crusader ruins which include a bathhouse, a fortress, and even the remnants of a mosque from the Muslim period. Sometime around the year 200 CE the Romans gave a Greek name to the city, calling it Eleutheropolis (meaning “City of Free Men”). 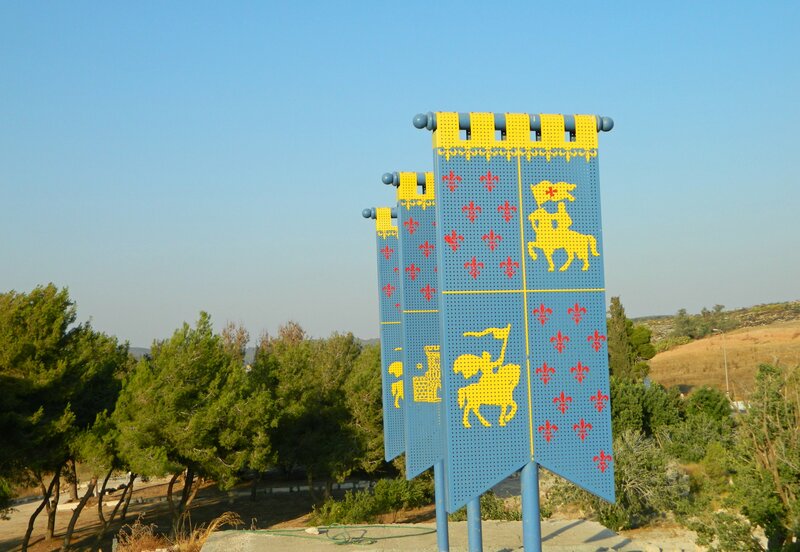 Later, when the Crusaders conquered the Holy Land, they built the Bethgibelin castle atop Roman ruins. The church, built on the south side of the fortress, was converted into a mosque when the Mamluks overthrew the Christian rule in the 1200s. First passing a small agricultural installation I found myself at the columned and vaulted entrance to the fortress area, the aforementioned church/mosque. 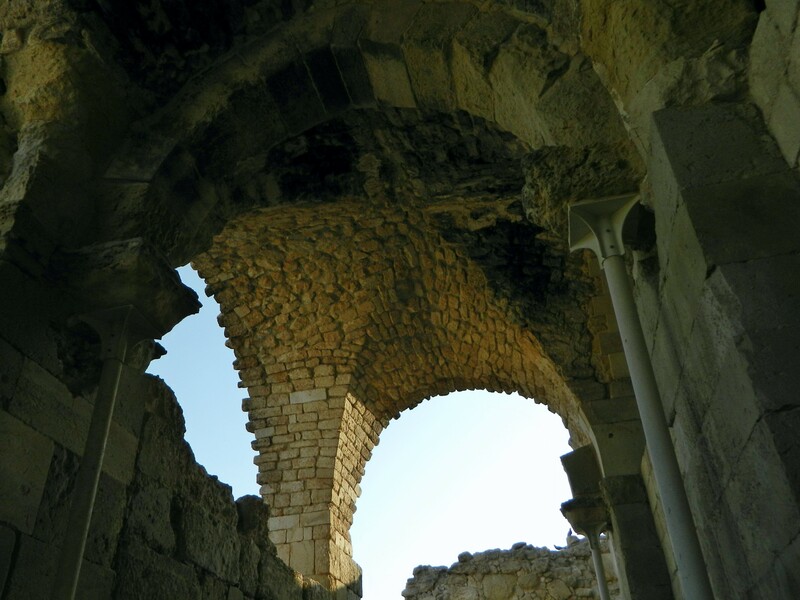 Standing beneath the tall vaults I noticed the mihrab (Muslim prayer niche) in the southern wall and gazed upwards to admire the Gothic architecture that the Crusaders introduced to the Holy Land. Spotting a narrow staircase built into the fortifications, I made my way up to the roof of the ruined fortress where I had a great lookout over the site. When I had my fill of sweeping vistas I returned to ground level, entering the fortress. Because the site is still being excavated and restored, I basically roamed around freely, examining and photographing as I saw fit. 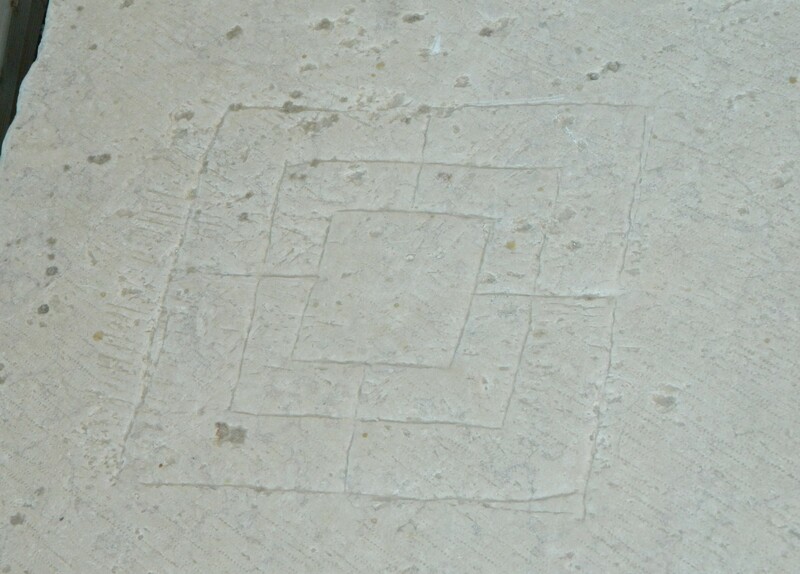 One interesting feature that caught my eye was an etched version of the game Nine Men’s Morris, which has been popular since before Roman times. After very briefly researching this particular specimen, it appears as though this game was scratched into the stone by individuals of the Crusader inclination. I find this glimpse into the past to be very interesting. I noted the clay piping, reminding me of Montfort Castle up near my home in the Galilee, as well as many stone creations that I have yet to learn to identify. I circled the inside of the ruined castle, and wondered what a particular gap in the construction was, a veritable hole in the ground. I naturally assumed it was a water reservoir, as is common with fortifications. But I soon found that I was wrong, as there were stairs leading down to a Roman bathhouse. Within its dark, vaulted chambres I found my answer, and gazed up at the sunlight streaming in through the very hole I questioned. Illuminating my path with my cellphone’s flashlight I toured the underground ruins, having a brief run-in with a startled pigeon. Leaving the bathhouse, I exited the castle and stumbled into the workplace of the current excavation. I found crates and crates of interesting pottery, and, poking around a wee bit, got myself excited at the possibilities of discovery, for I hope one day to uncover some nifty Crusader finds. With the sun sinking into the horizon, I returned to the path from which I came walking alongside the moat, and exited the park with a wave goodbye to the men-at-watch still camped out at the amphitheatre. Before returning to the kibbutz I nipped across the road and explored a long stone building mostly overgrown with vegetation. Inside I found a singular, tunnel-like room with a small mihrab and a lonely minbar (stepped pulpit). I read that this building was later used to store cotton for feeding livestock, but today it’s surely empty, save a mountain of guano in one corner. At last I retraced my steps back to the kibbutz and headed straight for dinner in the delightful blue-framed stone building. My short excursion was over but I had yet another day of adventurous digging at Horvat Midras. 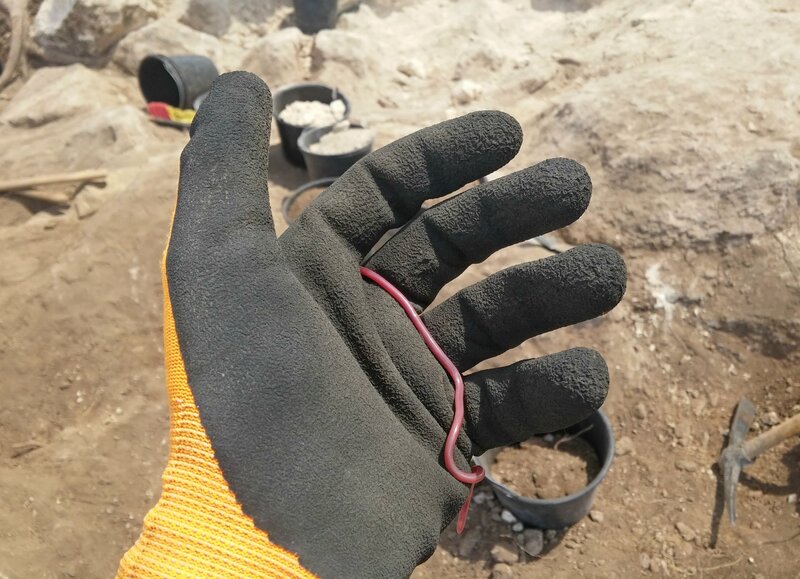 After a week-long break from digging at Tel es-Safi, I found myself volunteering at yet another archaeological excavation, that of Horvat Midras run by the Hebrew University of Jerusalem. 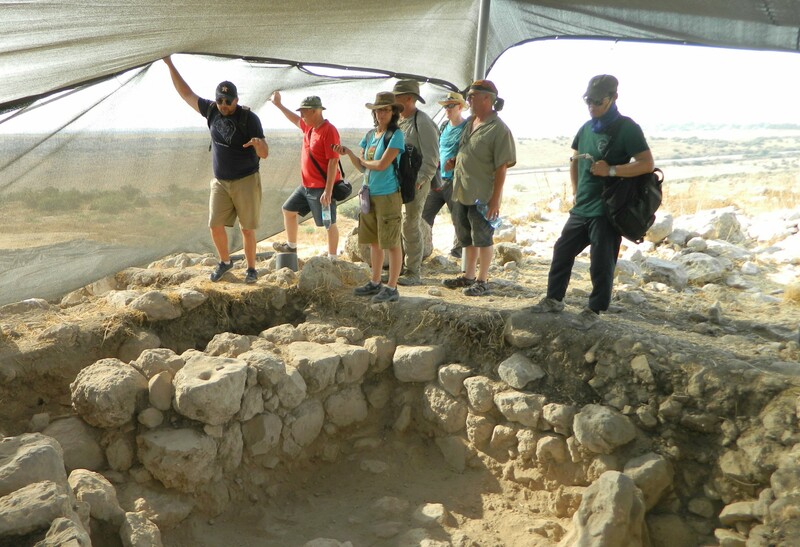 Also located in the Judean lowlands, my dig experience at Horvat Midras was actually wildly different than that of Tel es-Safi. For starters, I had dug only Bronze and Iron Age sites thus far this summer whereas Midras is predominantly Hellenistic, Roman and Byzantine. Other differences will become apparent later on in the post, highlighting how interesting archaeology can be. Late Sunday afternoon I took a train down to Kiryat Gat where I was picked up by the dig director, Dr Orit Peleg-Barkat, and taken to the base camp of the excavation, Kibbutz Beit Guvrin. 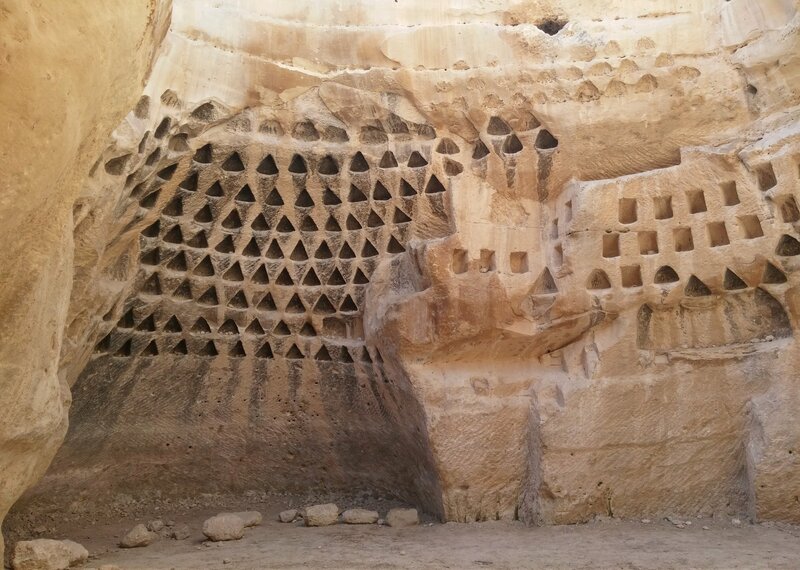 I had written twice about sites at Beit Guvrin, which can be seen HERE and HERE. Disembarking at the expedition’s dining room/office building, a beautiful British Mandate structure, we went in for dinner before I settled in my own room in the dwelling building just down the street. Anticipating the next morning at the dig, to a place I’ve never been, I slept just a few hours before waking up, lacing up my new hiking boots and filling up plenty of water to drink later. I snagged a ride with one of the staff members and we pulled up to the dig site, a gentle slope in the Adulam Reserve just off Road 38. I lent a hand getting gear out of the storage container in the dirt parking lot and then waited for my briefing tour by Orit. Taking me up the hill, Orit showed me the various areas that they had been excavating over the season, including a site which appears to be a Roman temple. I was to be joining the team at the pyramid, a 10×10 metre edifice of white ashlars, the only structure of its kind in all of Israel. Due to the presence of a burial cave directly below the pyramid, it is believed that the edifice was built as a memorial of sorts. However, it is unknown who built the pyramid, or even if there is another reason for its construction. 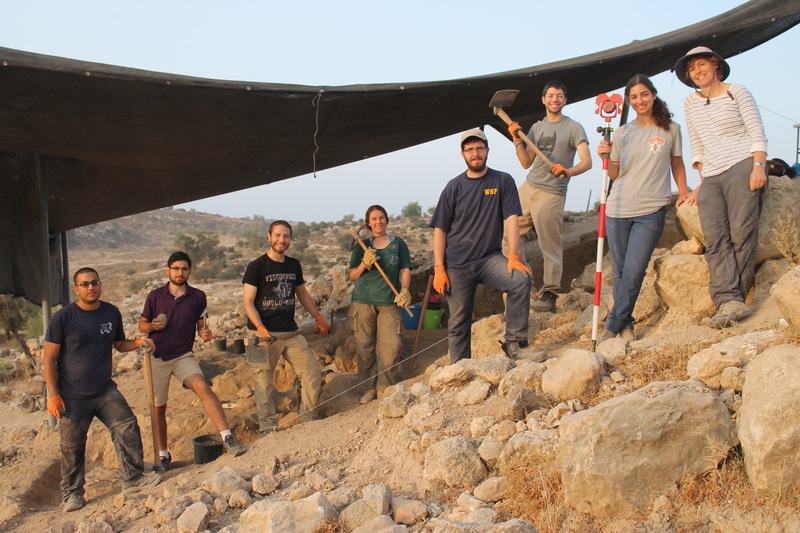 I was introduced to the team: area supervisors Yodan and Evie from HUJI, a few volunteers from the University of Münster in Germany and a fellow Bar Ilan student of Archaeology. Itamar, my frequent digmate, would be joining us the follow day, but that will have to wait. I was directed to help clear off the dirt and vegetation from the exposed pyramid structure, while the sun was still low in the sky and we didn’t need to hide beneath the sunshade like academic cockroaches. Just as I dipped my trowel between two stones to scoop out the refuse, I struck gold. Well, not quite gold, but I did find three coins. Unfortunately, they were modern Israeli coins, the oldest minted in the 1980s and the total value adding up to a measly two shekels (approximately half of an American dollar). At least I got the opportunity to needlessly excite the supervisors before getting back to work. The joke was on me though, because shortly thereafter I was moved back down below the sunshade to chip away at a consolidation of lime that proved difficult to excavate. Thus, I wielded a pickaxe deftly as I chipped the hard lime from between the fallen ashlars of the pyramid. The work was hard and the conditions were cramped, but we needed to get past the stubborn lime to the dirt or bedrock to find the bottom of the pyramid on the northern side. Slowly but surely I worked, filling up buckets of grainy white powder to be discarded nearby. 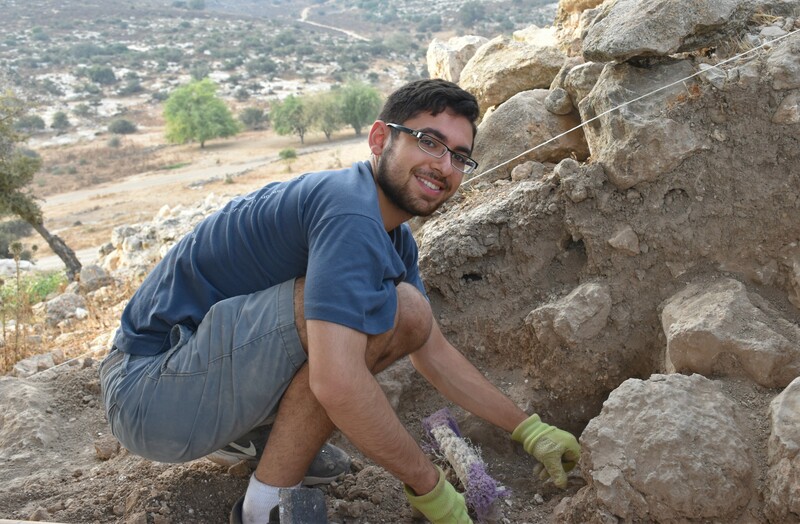 I didn’t chat too much with my German digmates that day, as I was missing my Tel es-Safi crew, but I had an overall good time being a volunteer quarryman. 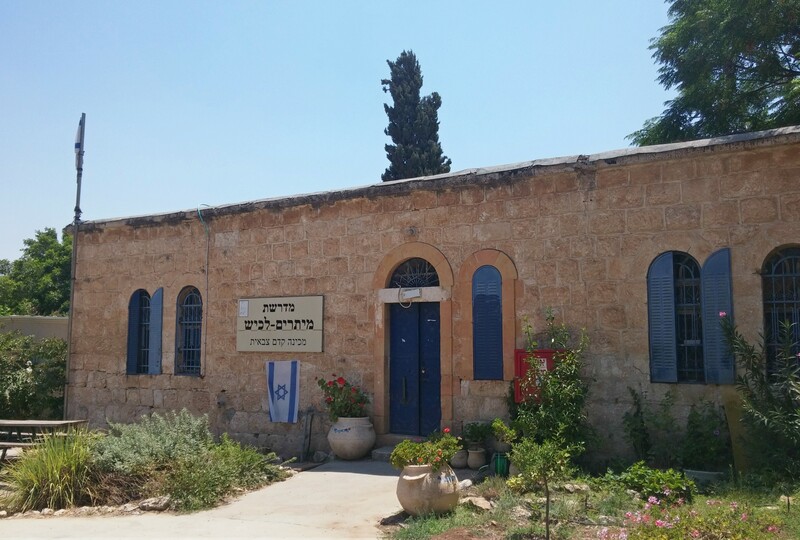 Having worked up quite the appetite by the early afternoon, we drove back to the kibbutz and re-congregated in that fancy building with its blue doors and shutters. We ate lunch as we had eaten dinner the night before, all together at one long table, using shallow bowls to contain our individual portions. 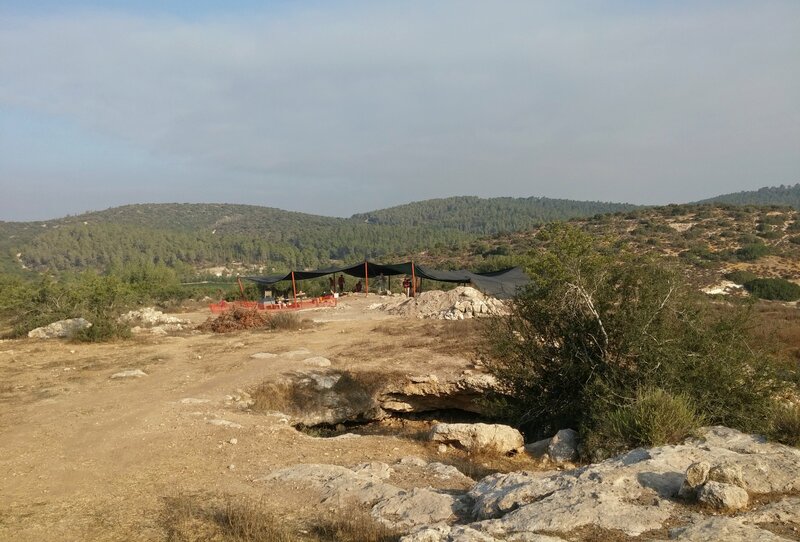 Excitement returned the very next morning when Itamar joined us at the site. Climbing up the hill to our trusty pyramid, we were then directed towards a new spot to work in, a chunk of bedrock that had been quarried from and then used as an agricultural installation later on. Tasked with clearing the dirt from the rock, we got straight to work and found very little of interest – save for buckets and buckets of earth. Every so often we’d find a small piece of pottery or perhaps a bullet casing (the area had been used for army training in recent history); the lone French volunteer often patrolled from area to area with the metal detector, shouting “boullet! boullet!” whenever he’d find a buried cartridge. 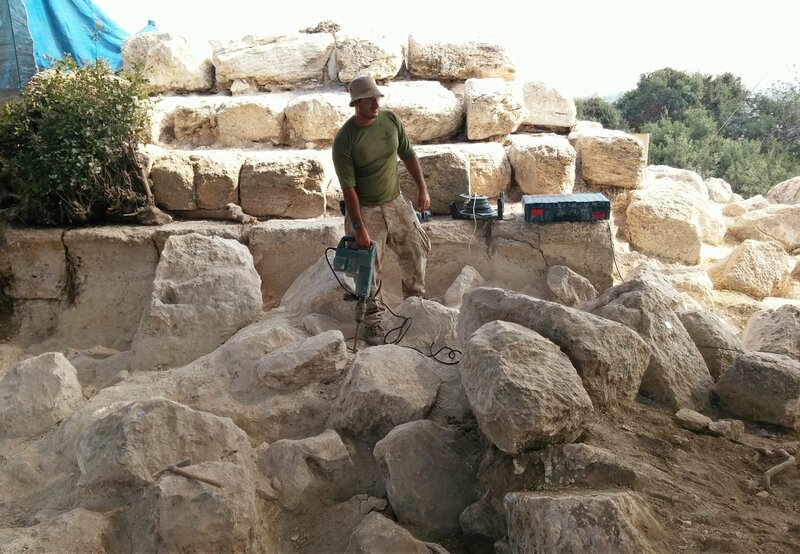 Meanwhile, over at the pyramid, help came in the form of a mini jackhammer powered by a portable generator set up nearby to help break up the solidified lime. The staff worked tirelessly on the lime, the noise of power tools filling our ears. 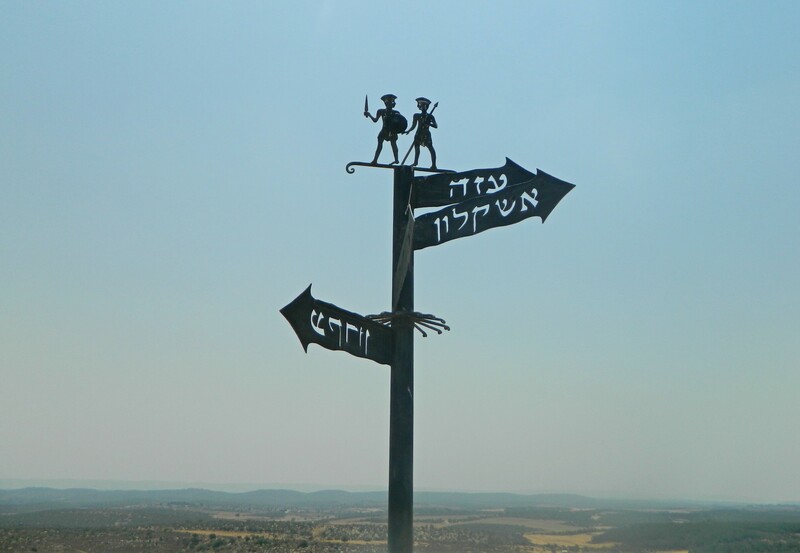 The day passed by pleasantly, as I had Itamar with me, and when, at last, we wrapped up our efforts for the day, I knew I still had more adventure in me. 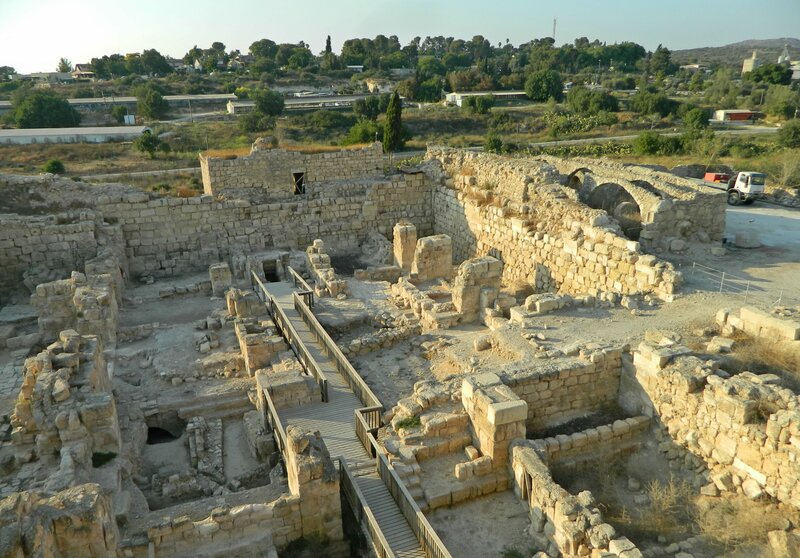 And so, after lunch I took a short nap and then gathered up what I needed for an excursion to the nearby ruins of Beit Guvrin, beside the Roman amphitheatre, an adventure that I will cover in my next post. 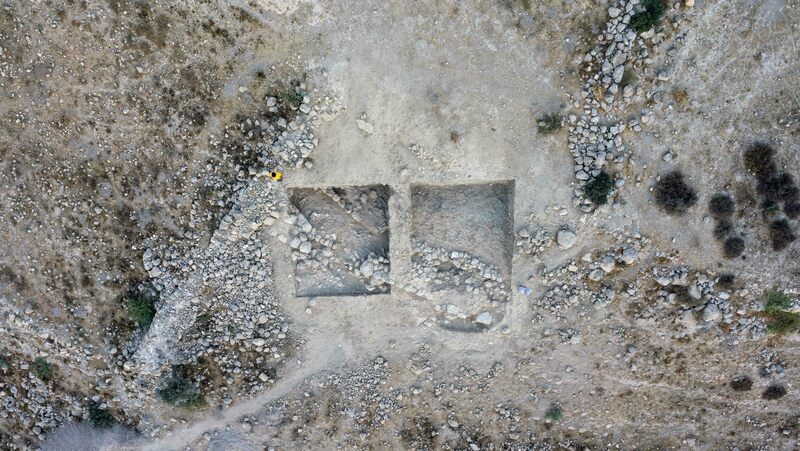 Returning to matters concerning Horvat Midras, I returned to the site the following morning for my third and final dig day. I continued clearing the quarried agricultural installation and then, at the supervisor’s request, moved over to the dirt area beside the lime buildup. I stood alongside my German digmates and joked as we moved dozens and dozens of dirt away from the pyramid area. We had a grand time, especially when we talked about beer – a shared interest. Another thing that interested me, and perhaps just me, was a blind worm snake that was saved from the ravages of our picks and hoes. 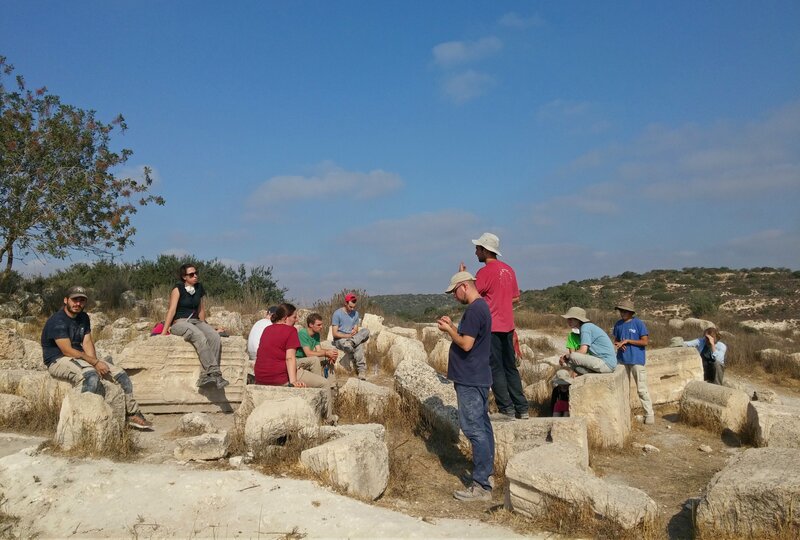 Perfect for my scheduling, this third day had a special treat after breakfast, a quick tour of two interesting parts of Horvat Midras that were not under excavation. We followed Asaf Ben Haim, a staff member hailing from HUJI with whom I worked at the Tel Kedesh excavations, as he led us across the hillside to the remains of a Byzantine church. 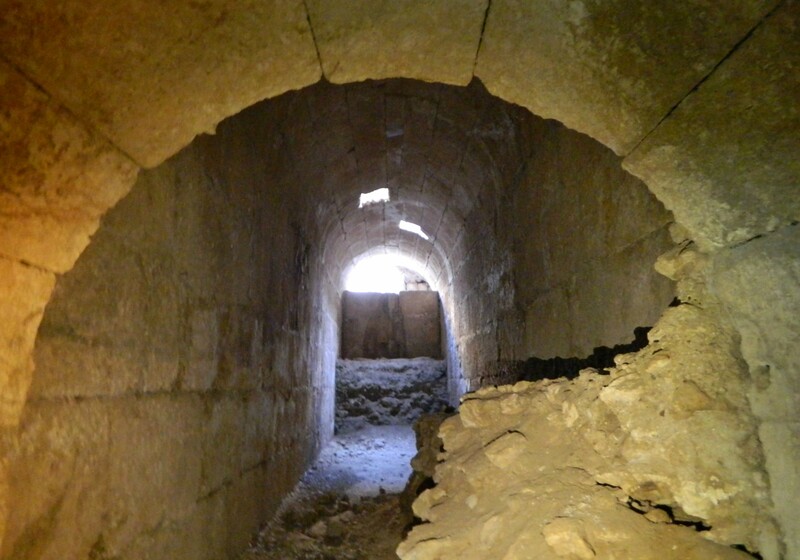 Next, we headed underground to a special tunnel system that was dug out of the soft rock and used by Jews hiding from the Roman soldiers during the Bar Kochba rebellion around the years 132-135 CE. 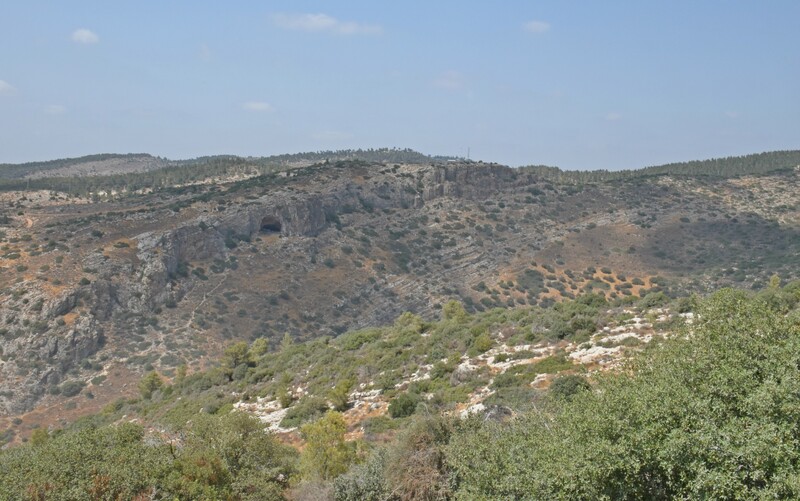 It turns out that I had actually visited this very tunnel cave back in 2008 when I visited Israel with my Floridian high school, and had assumed that it was actually part of Beit Guvrin’s trove of unique caves. When our short tour ended, I popped on over to two more interesting marked sites along this same hillside: a columbarium cave and a very unique burial cave. The columbarium, a dovecote, is one of many in the region that date back to the Hellenistic and Roman times, but this one has very pleasing niches for holding cute, little doves. 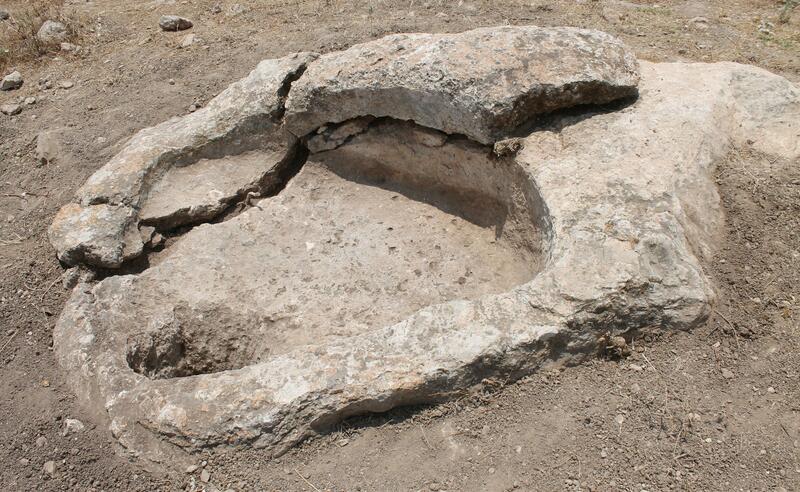 The Roman-era burial cave was even more exciting, with a fascinating “rolling rock” to seal off the tomb’s entrance. Reminiscent of both the awesome necropolis of Bet She’arim and the fantastic adventures of Indiana Jones, I took a few hurried photos before slipping inside to explore the tomb’s interior. 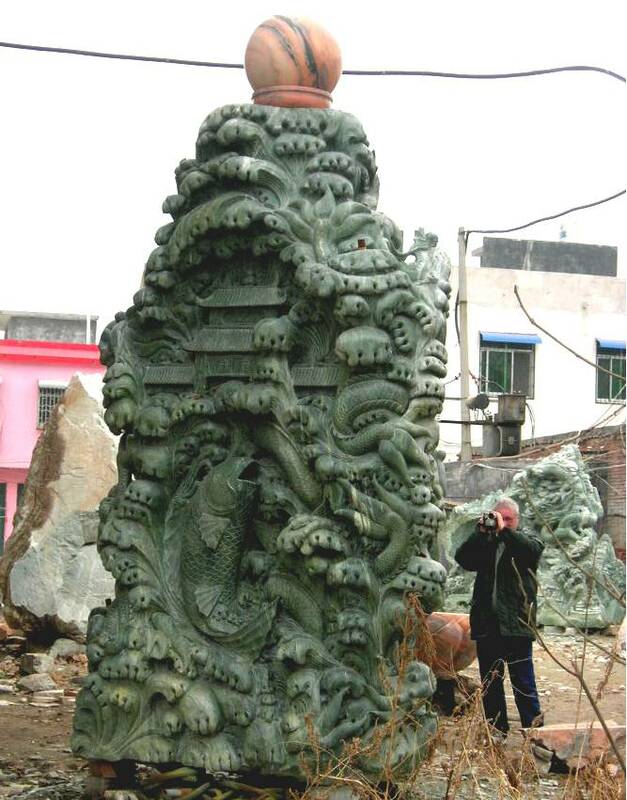 Unfortunately, the cave was vandalised some years back and the inner glory is since lost. I did salvage some sense of daring adventure as I climbed out of a different exit from inside the cave, emerging between some bushes a few metres away. 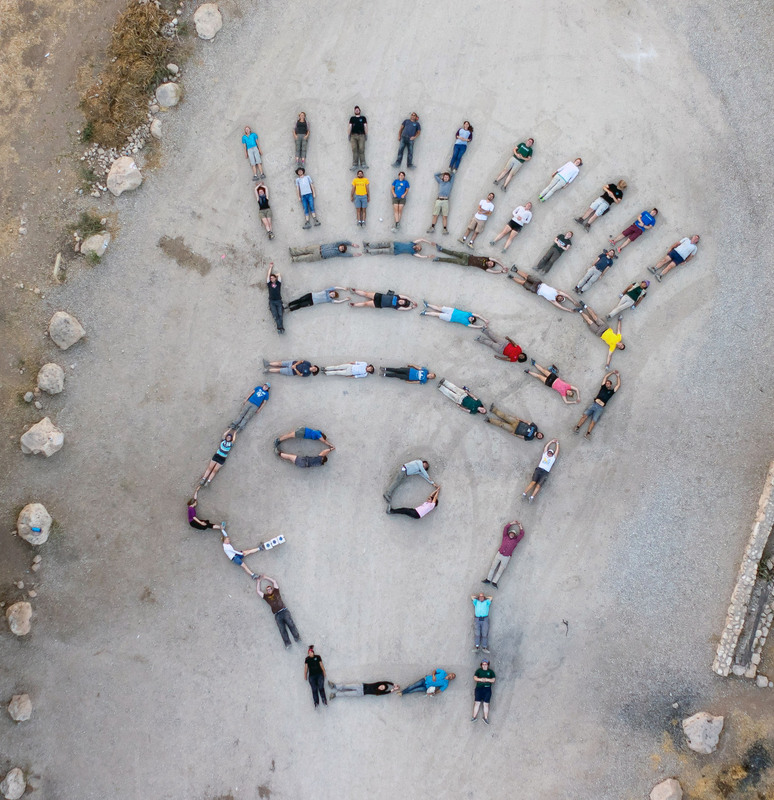 Having already posted about the four weeks at the Tel es-Safi archaeological dig (see parts I and II), this post is dedicated to the two field trips that I took as part of the program. 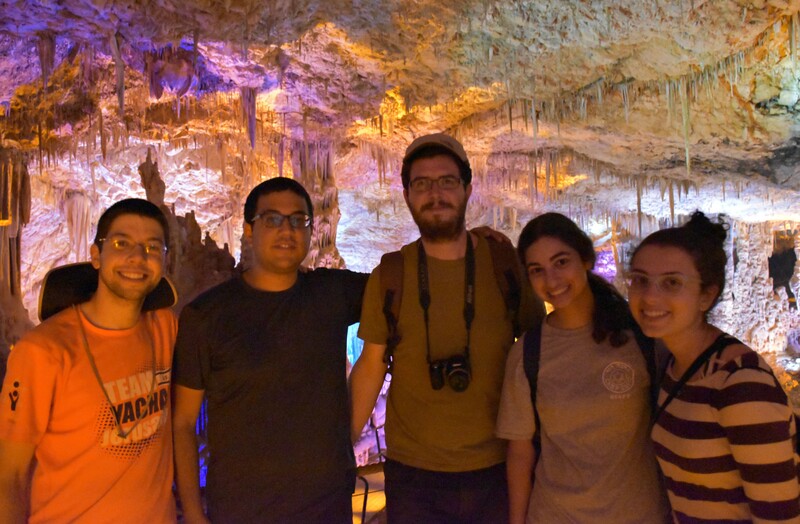 The first trip was at the end of the first week, to a site that I’ve been wishing to visit for quite a number of years, the Stalactite Cave (or, Soreq Cave) near Bet Shemesh. Leaving shortly after lunch on Thursday afternoon, the two buses drove the lot of us from our base camp at Neve Shalom to the cave. I was joined by several members of the Area J crew: Itamar, Rebecca, Meredith and Moshe. We disembarked and congregated at the entrance of the national park, and then made our way down the paved mountainside trail towards the cave opening. Stopping at the cave’s entrance, which is basically a door at the end of a short concrete chute underneath the cliff face, we listened to Prof Aren Maeir’s words of explanation about the cave and its discovery. 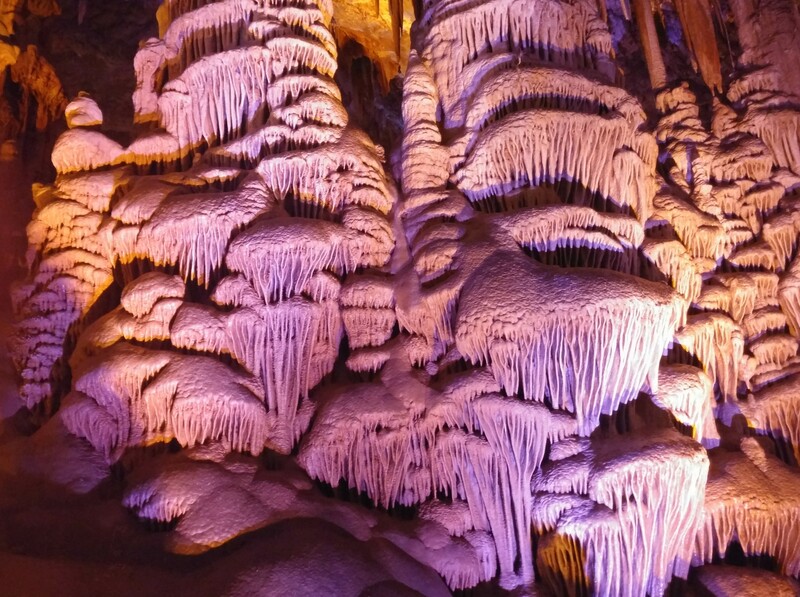 The cave was discovered accidently amidst quarrying efforts in 1968, opening up an underground realm of fantastic cave growths, called stalactites and stalagmites, that was yet unseen by the Israeli public. Tapping into the cave was risky due to its reliance on a specific environment, and, in efforts to ensure that the cave didn’t get ruined, the authorities closed it for several years. 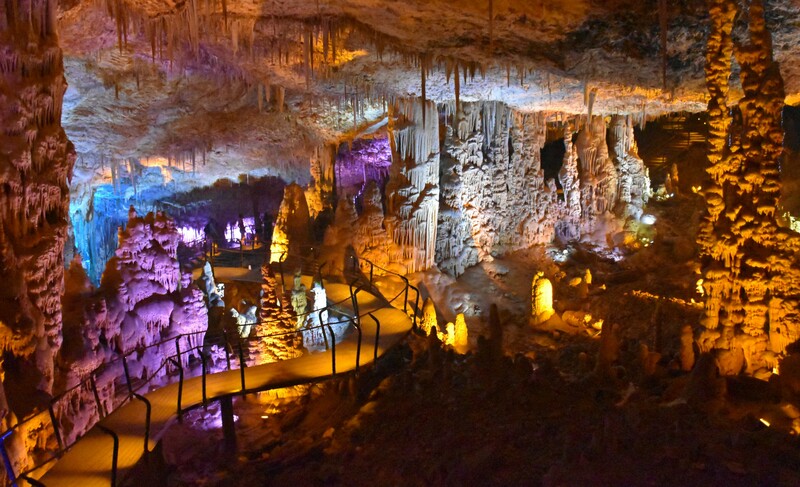 Eventually, having installed a system to regulate humidity, the Stalactite Cave was opened for visitors who continue to flock to the nature reserve in admiration of the otherworldly speleothems (cave growths). 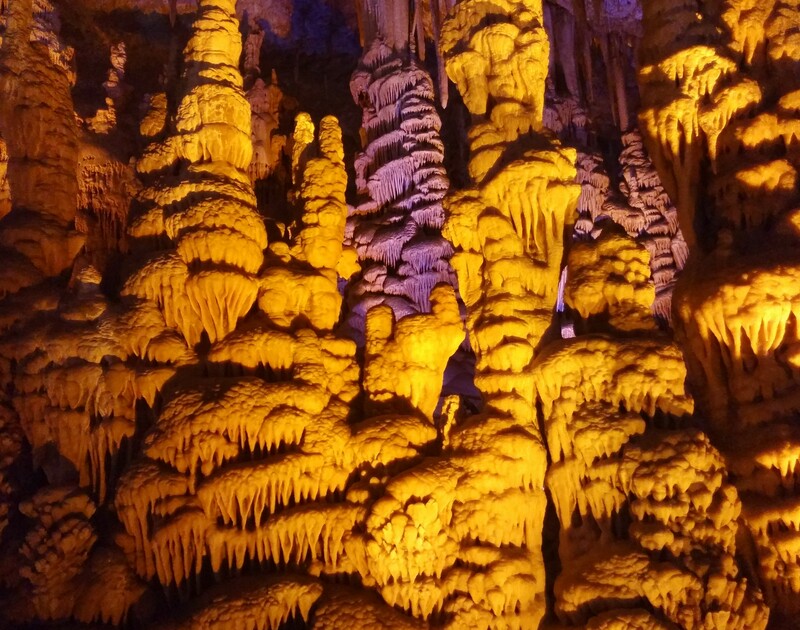 I happen to be a great lover of caves, and relish opportunities to go below the surface whenever I can, so I was quite excited to be visiting at last. One might wonder why the cave is illuminated in coloured lighting, as did I, and the answer couldn’t be simpler. Traditional white lighting brings out blemishes and undesirable aspects, such a the growth of algae, so the coloured lighting not only hides the bad, but brings out the good in giving pieces their own identity. Another cave that I remember being lit with coloured lighting was the Carmel Caves, and at last I know why. We continued along on the elevated walkway, pausing here and there to admire the mineral magnificence. At some point, the five members from Area J gathered together and were photographed, despite the inferior lighting conditions (the use of a flash is strictly prohibited). Less than a half hour after we entered the cave we reached the exit and pushed our way through the heavy metal doors to the brightness outside. Congregating once again, this time overlooking the old quarry and the city of Bet Shemesh, we learned a bit more about the history of the cave and then began the climb back up towards the buses. Thus ended the first of our field trips, and it wasn’t until the beginning of the third week that I took another. 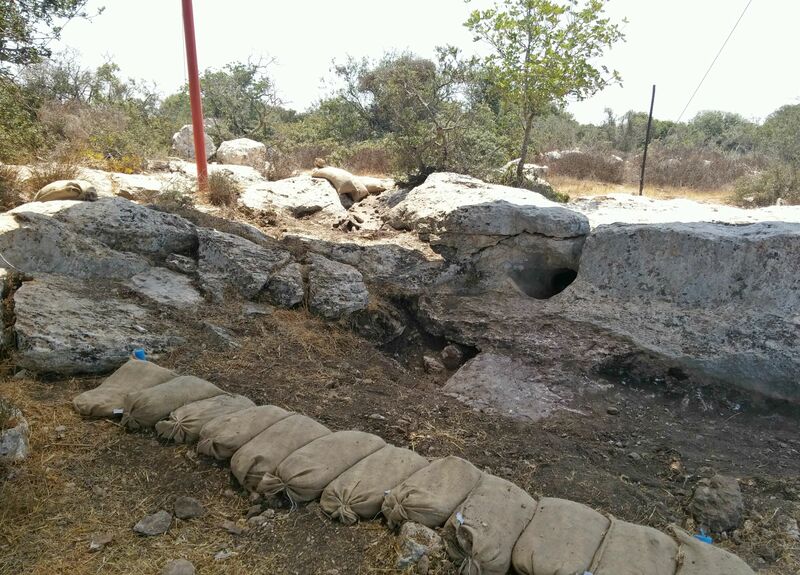 This time we were headed to a nearby archaeological dig, Tel Burna, located just eight kilometres to the southeast. I hadn’t heard of Tel Burna before this summer, but I never like turning down trip opportunities. I tagged along, Ben joining me in brotherly camaraderie. We were just a single bus on this trip, and we arrived at the site to meet our guide, Dr Chris McKinny. 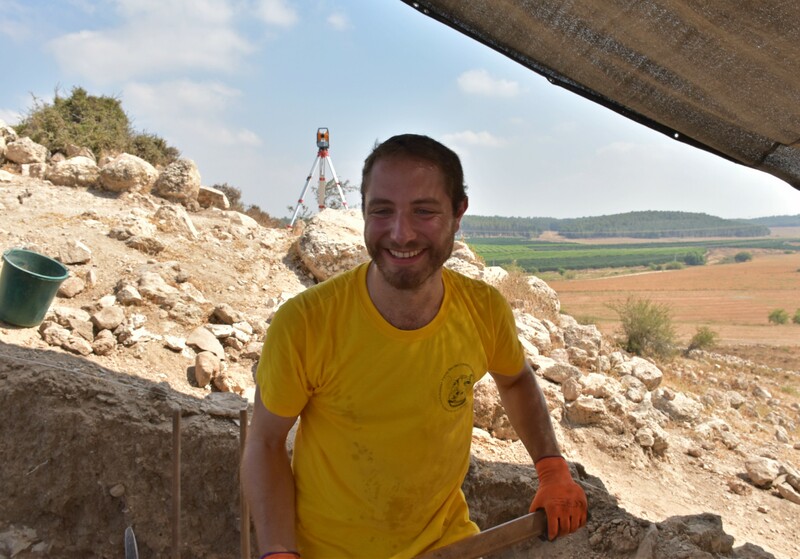 An alumnus of Bar Ilan University, Chris is a veteran of the Tel es-Safi expedition and now the a staff member of the Tel Burna dig. Chris led us along the dirt road to climb the tel, the afternoon sun brutally assaulting us from above. Plodding along mindlessly, we tried engaging in conversation to distract ourselves from the misery we put ourselves in. But, after all lows come highs, and we found ourself with a lovely view of the surrounding area. 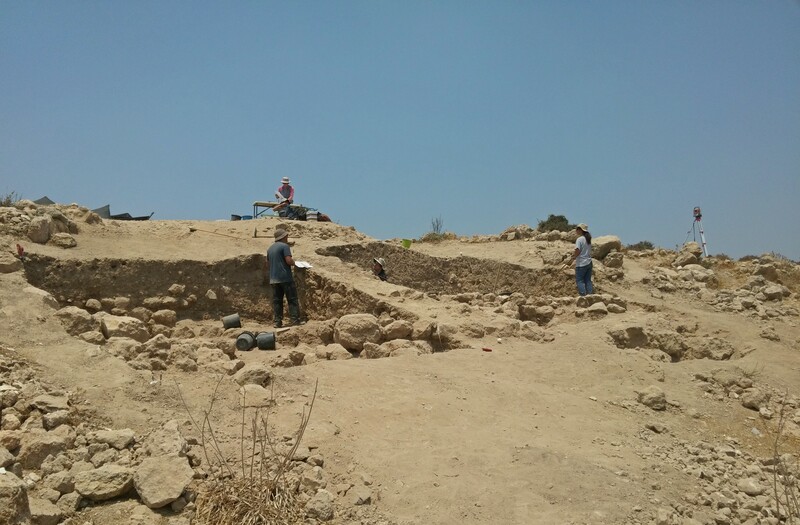 Because Tel Burna is an active dig, there were areas where we had to lift the sunshade that had been lowered mere hours before. After giving us up-to-date information on his dig’s progress over the last few years, including discoveries of both Late Bronze and Iron Age ruins (with some pretty cool finds), Chris gave us a lesson in local geography, pointing out nearby sites of interest. 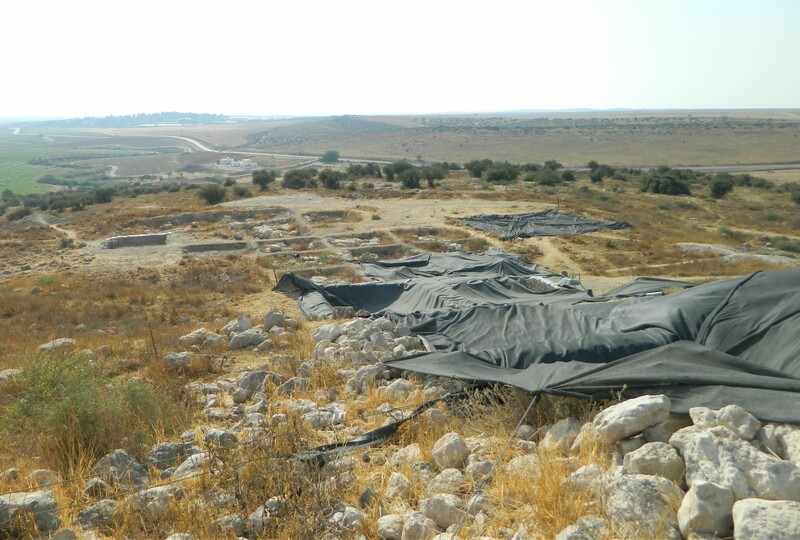 Due to its location in the Judean foothills, Tel Burna would have been a fortified border city during the Iron Ages; evidence points to the fact that Tel Burna was most likely Israelite, with Tel es-Safi (or, Gath), the Philistine capital, to the northwest. Casting our eyes in the direction of Tel es-Safi, some swore that they could see the distinct white chalk patches of the tel off in the distance, but I failed in finding it. Looking to the southeast, past rolling golden fields spotted with hay bales, we spotted with greater ease the iconic apse of the Church of St Anne at Beit Guvrin-Maresha less than four kilometres away. 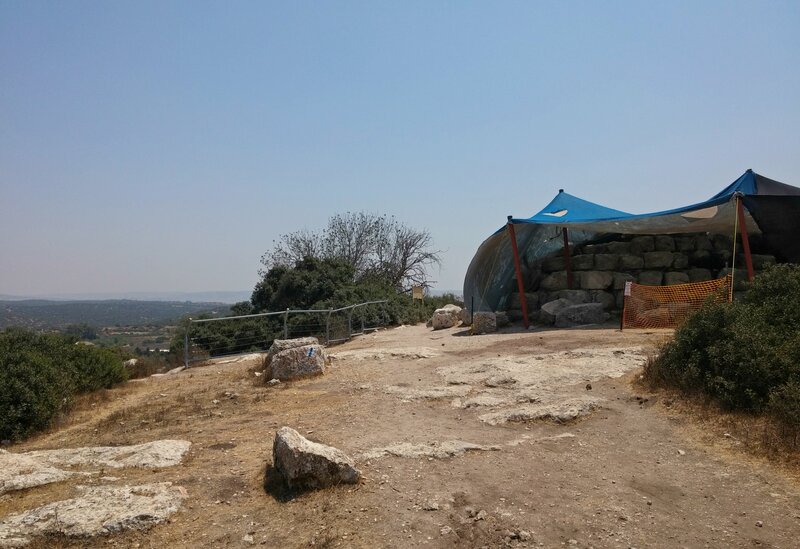 Wrapping up our tour of Tel Burna, we trekked back down the hill and boarded the bus for a long, circuitous ride back to our base camp of Neve Shalom. For those interested in learning more about Tel Burna, the link to their website can be found HERE. 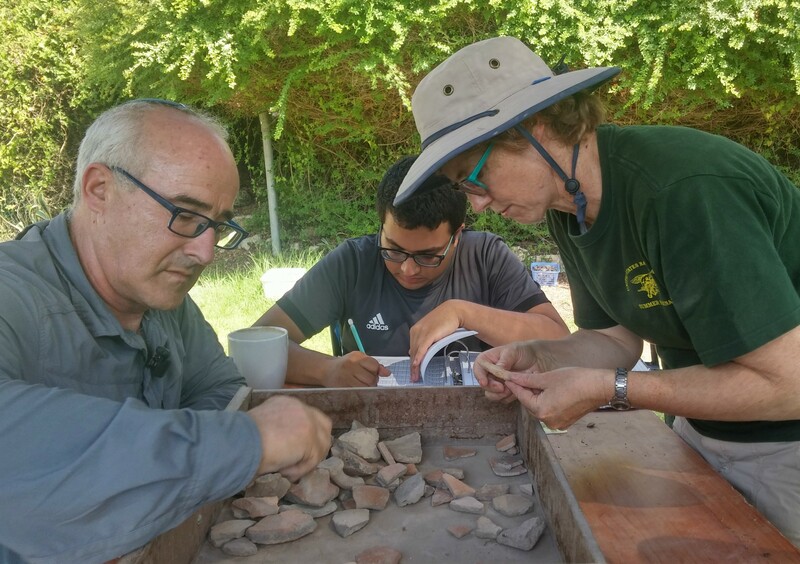 Continuing with the third and fourth weeks of the month-long excavating season at Tel es-Safi (see the first post HERE), we returned to Neve Shalom Sunday afternoon and settled into our rooms. 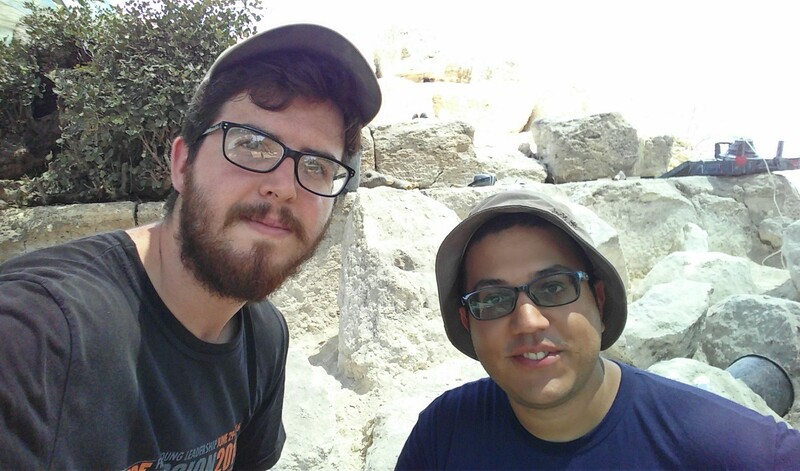 My friends Ben and Shani, both from Bar Ilan University’s archaeological program, would be joining us for the week and I knew it’d be a good time. I came loaded with extra beers this week, even some bottles of recent Arx Meles productions (Stoutus III and Belgica Triplus) that Ben and I brewed some months prior. 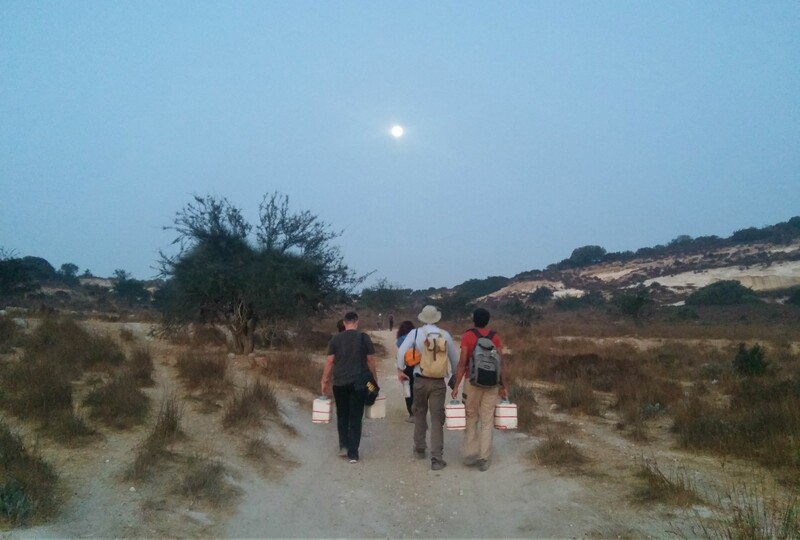 The following morning, at 5am, we boarded the bus for the tel to continue our digging in Area J. We had taken down a fair amount of dirt and yet there wasn’t anything of substance in square 100A. 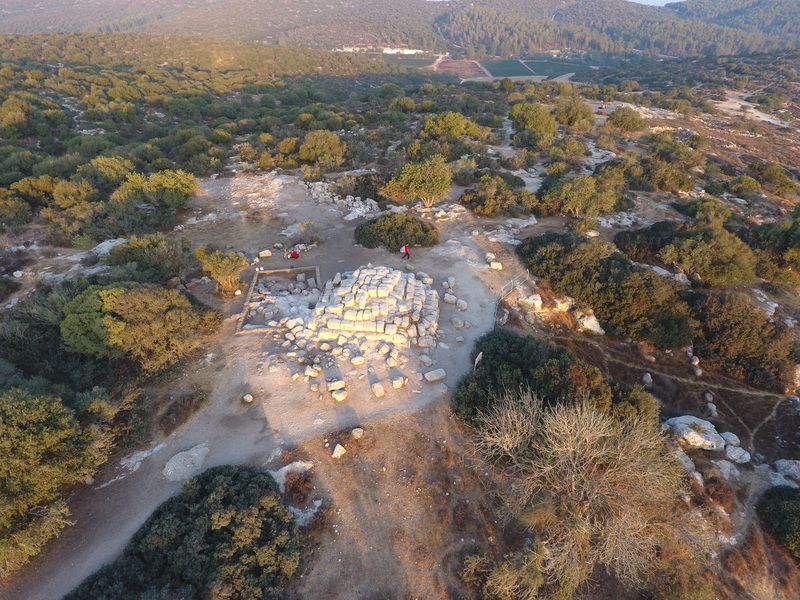 Itamar’s square, 100C, had a bunch of rough stone architecture which earned Itamar a fun nickname – the “Stone Whisperer,” due to his quiet demeanor and knack of revealing buried walls. He and Avraham were joined by Shani, whereas Moshe, Rebecca and I gained Ben, with Dr Jill Katz overseeing us all. Once again, the humourous chemistry in our square was infectious and every day saw us doubled over repeatedly with laughter. We even invented an odd game of “Shave, Lick or Massage” (a variation of “Kiss, Marry or Kill”) with the various things that we pulled out of the ground. Related to the game, licking freshly hewn Safi chalk is quite amusing and many powdery pieces were passed around. When we weren’t out on the tel digging, laughing and having a good time, we were back at Neve Shalom doing a whole selection of chores. The pottery that’s brought in from the field is first washed outside with brushes, then laid out to dry. Once dry, the pottery gets “read” by various professors in the presence of area staff, and sorted and/or discarded in accordance to its value. We rather enjoyed pottery reading, and looked forward to seeing what interesting potsherds we pulled out of the ground. 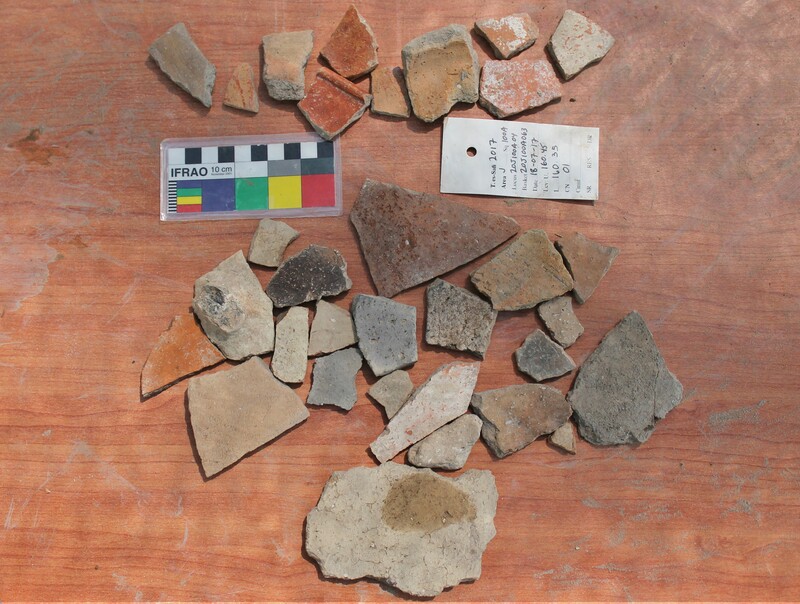 Once sorted, some of the pottery would be bagged and taken indoors for pottery writing, recording the reference number on the potsherds themselves with a special permanent marker. Later, back at Bar Ilan, some of the pottery gets reconstructed into the vessels that they once were. With a bunch of other tasks to perform each and every day, we never lacked for things to do. It was great having so many volunteers to chip in, and we really capitalised on the ability to move a lot of dirt quickly. That day went by especially fast, and the next day greeted us with squares that looked quite different than before. We worked on clearing the dirt down to a uniform level on the western side, and then defining the stone architecture that was becoming apparent on the eastern side of 100A, lining up with the excavated walls in 100C. 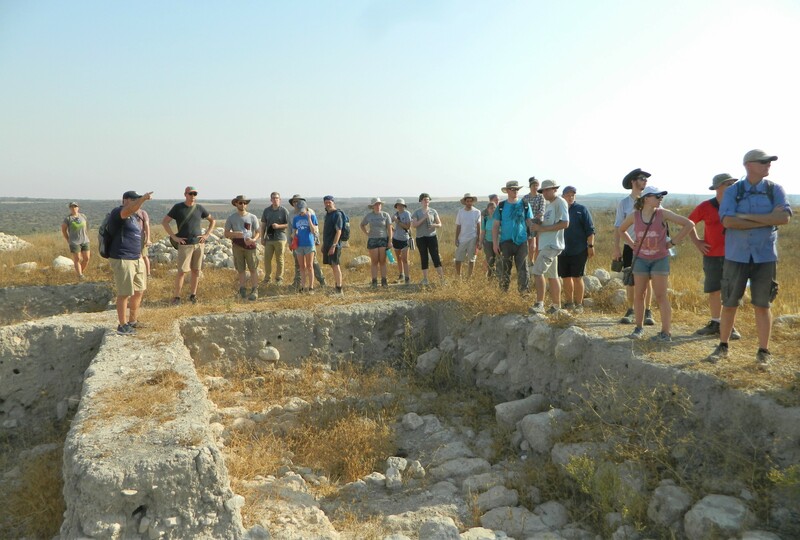 The third week also saw a short afternoon trip to Tel Burna, another Late Bronze and Iron Age site being excavated some eight kilometres to the southeast. 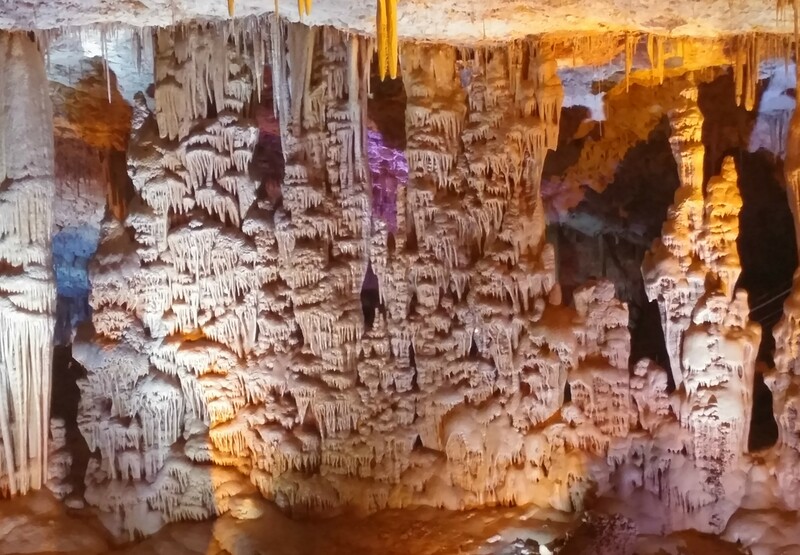 This trip, and the one to the Stalactite Cave near Bet Shemesh, will be covered in the next blog post. At the end of the week we, the “J Crew,” had an evening tasting of the Arx Meles brews, neither of which came out to my liking (or the crew’s liking, for that matter). With the week coming to an end we were sad to be losing Ben and Shani, who fit in so nicely with our group dynamics. But then, on Friday morning, while out on the tel, we decided that we’d prolong our bonding time with the two of them. 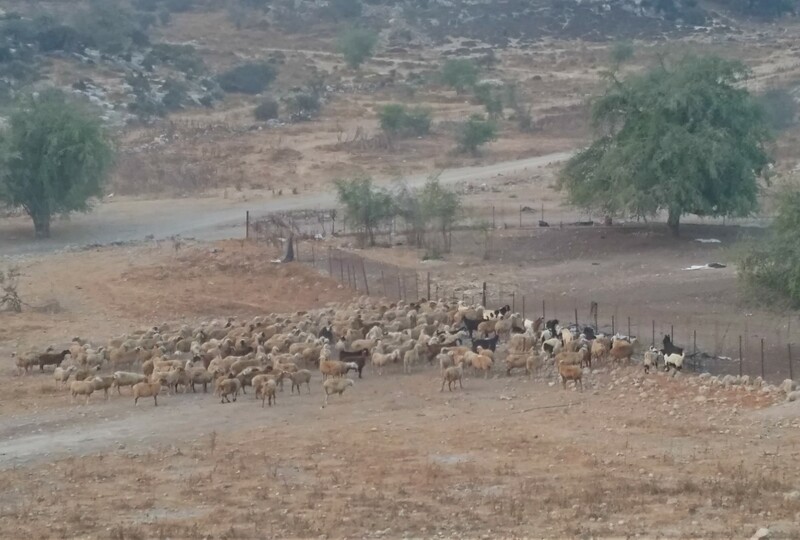 We decided that we’d all have Shabbat together in Givat Shmuel, and quick phone calls were made. Although it was hastily arranged, Shabbat was a great success and we had a great time eating and bonding together. After Shabbat, while the night was still young, we walked over to Jem’s brewery in neighbouring Petach Tikva and had a few beers with some oily treats. 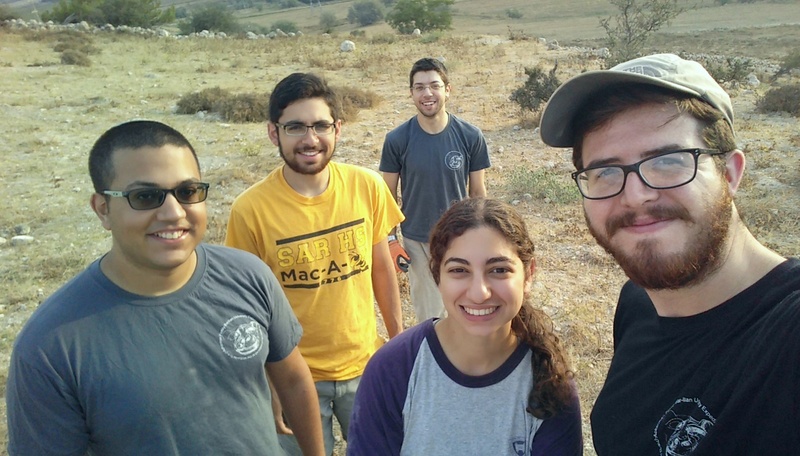 Quite a lovely outing it was, ushering in the fourth, and final, week of the Tel es-Safi dig. Down to just six members in total, Area J was ready to be wrapped up. We needed to clean all the stones, make sure the floor surface and baulks were nice and straight, and, last but not least, clear up the surrounding area a tad in preparation for the aerial photography later in the week. We swapped pickaxes and hoes for brooms and dustpans and set ourselves to the tasks at hand. Sweeping and cleaning, but still heavily engaging in hearty laughter, we worked Area J’s final days away. The sunshade was taken down and we saw, for the very first time, the work that we had done in direct sunlight. With the oppressive heat and the endless amount of dirt in the air, we toiled away until picture day. That morning we were driven, as usual, to the tel but this time we gathered at the parking area down below beside Area D and got into formation for the annual group photo, done in a unique thematic design. Last year’s was in the shape of a donkey, due to the discovery of buried donkey skeletons over in Area E, but this year’s was a beast of a different nature: a Sea People warrior. Perhaps you can spot me and my digmates in the photo. 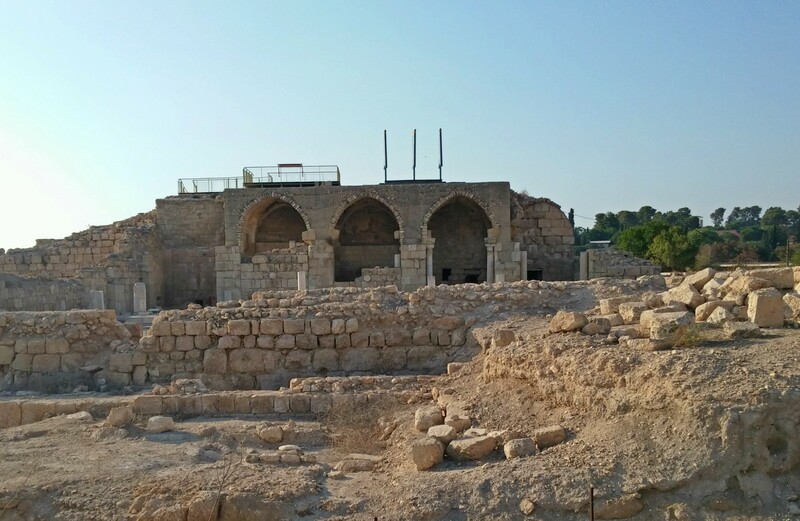 More information about Tel es-Safi can be found at Prof Aren Maeir’s blog, found HERE.